With BrightPay Connect, you don't need to worry about manually backing up your payroll data. When you connect an employer to BrightPay Connect, it will automatically be synchronised online as you run your payroll or make any changes. While signed in to BrightPay Connect, payroll data is automatically backed up every 15 minutes when the employer file is open in the BrightPay software and again when you close out of the employer file. 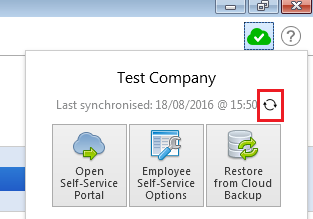 A historical and chronological set of backups is maintained so that a backup can be restored from the cloud at any time.